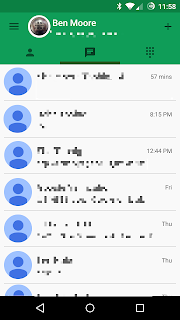 I've been using Google Voice since it was Grand Central. 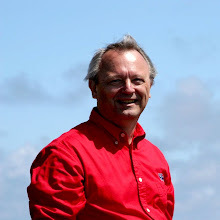 Initially I was using it to overcome the confusion that arose with my traveling from office to office. When I'd call someone they'd get the caller ID of the extension that I was using. Then when I'd call them again they wouldn't recognize the extension. Grand Central gave me the ability to always present a consistent caller ID. 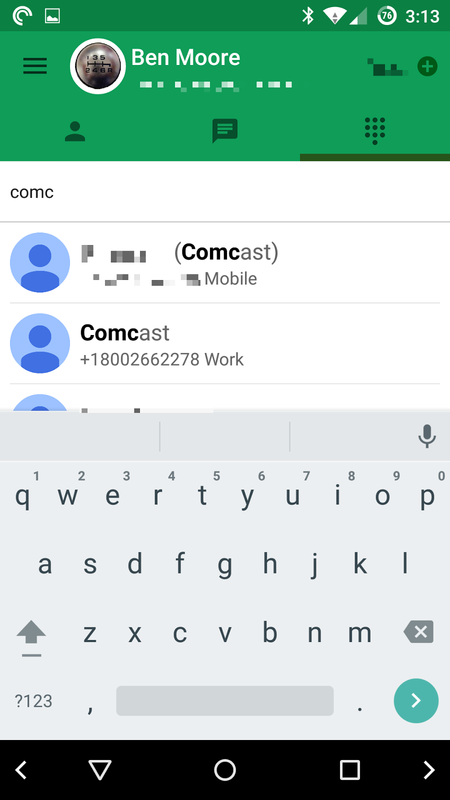 Further it lets me keep a good log of calls and even block callers if necessary. However as I have transitioned to almost exclusive use of a cell phone, originating calls from my Google Voice number is difficult. 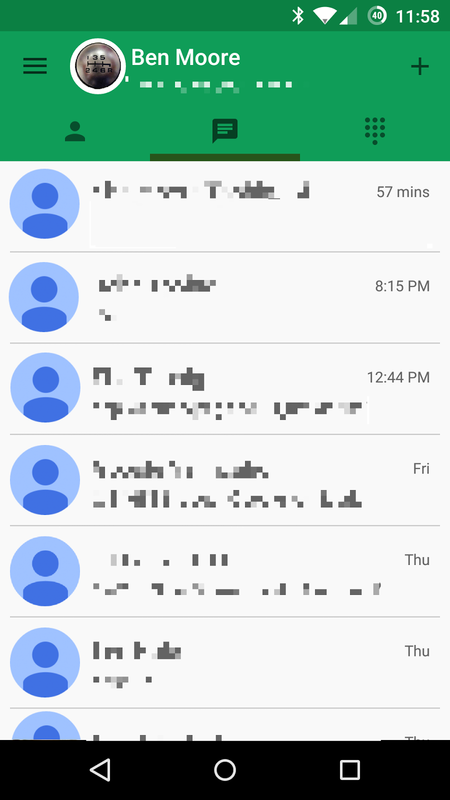 I've discovered that the Android Hangouts app handles that nicely. 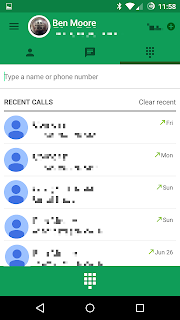 There is also a Hangouts Dialer app but that function has been incorporated into the main Hangouts app. 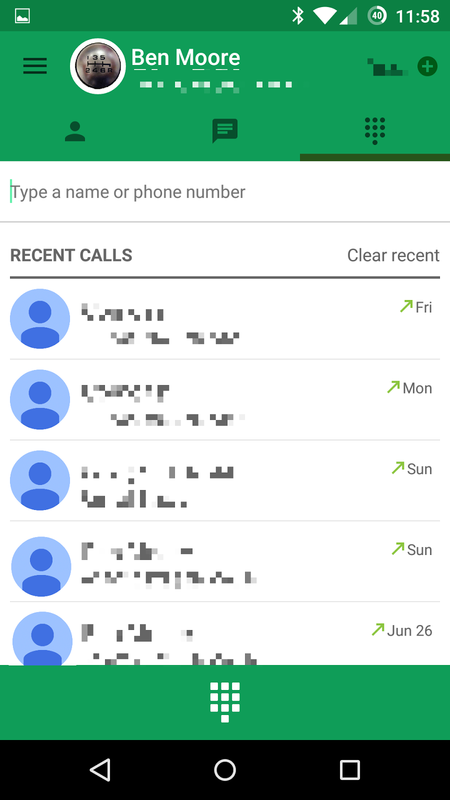 Here's what you normally see in the Hangouts app. But notice over to the right is an icon for a dial pad. Swipe from the right to the left and you'll get this. 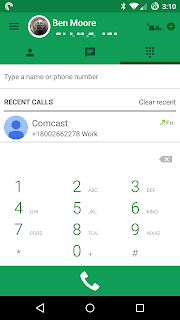 It comes up with Recent Calls from your Google Voice number. 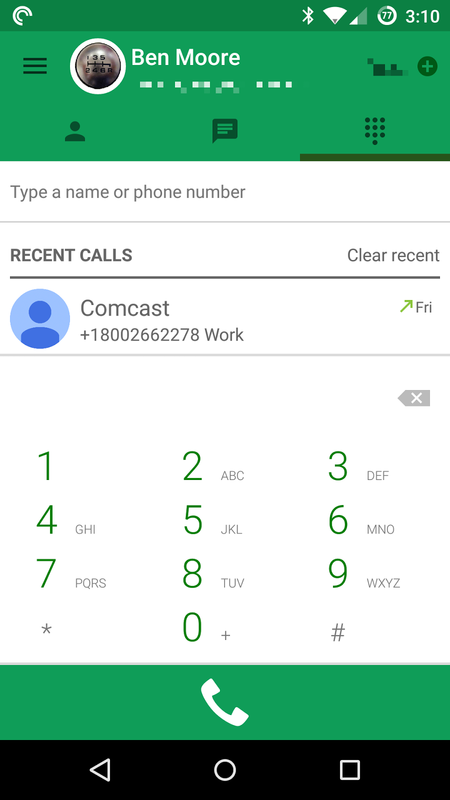 Now it's not a pretty as the phone's Dialer app but it works fine. 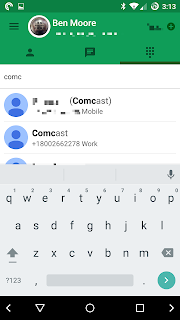 Just start typing a contact's name and you'll get a list of matches. 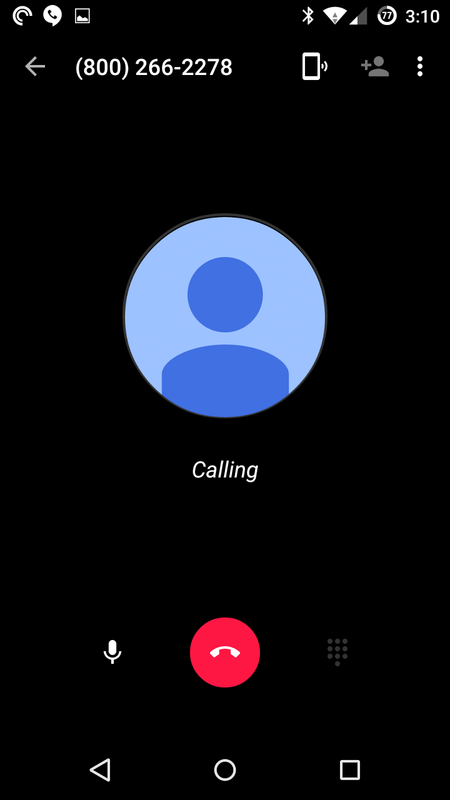 Or from the Recent Calls screen tap on the dial pad icon at the bottom. 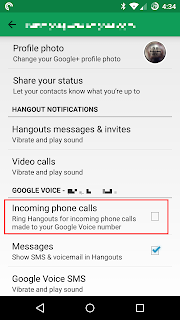 The call will be placed over cellular data or Wi-Fi and present the caller ID of your Google Voice number. Here's what it looks like during a call. 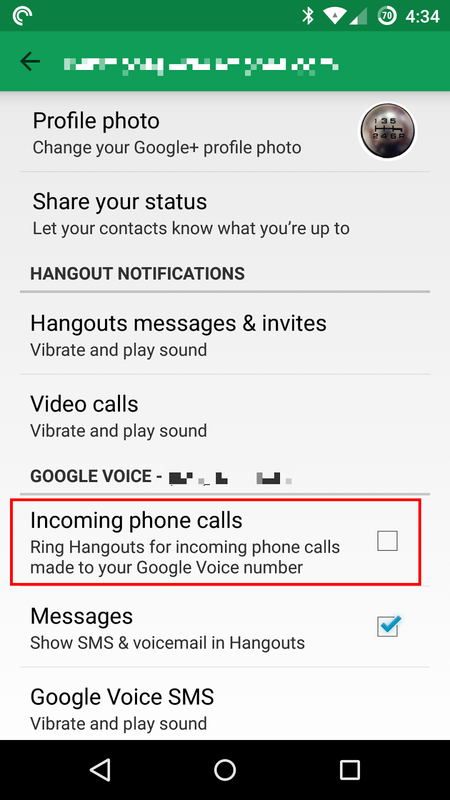 Now if you want to really get out there, you can go to Hangouts / Settings and turn on "Ring Hangouts for incoming phone calls made to your Google Voice number". Now you're not using any cellular minutes. And if you have persistent Wi-Fi you don't even need cellular service.